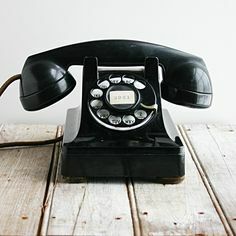 Your phone should be a landline and it should be made out of Bakelite. I used a Phone like this most of my young life. There are plenty more options – too many we decided! I didn’t try them all… because we got through on Facebook and the quality was good.